The list also ties Cara Delevingne and Adriana Lima in joint second, and features Kendall Jenner for the first time. 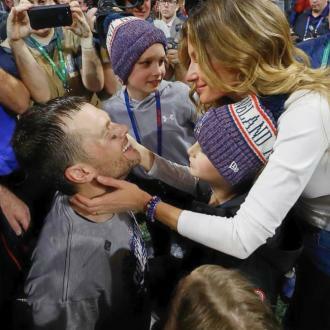 For the ninth year in a row, Gisele Bundchen is world’s highest paid model, raking in $44 million in the last 12 months – and more than $35 million ahead of her nearest rivals. That figure is even more impressive when you consider that she announced her retirement from modelling back in April! The 35 year old Brazilian supermodel made these astronomical pre-tax earnings through a number of high-profile campaigns for the likes of Under Armour, Isabel Marant, Balenciaga and Stuart Weiztman, according to the annual list published by Forbes. It calculates each model’s earnings from June 2014 through June 2015, and takes into account endorsements from advertising and cosmetics as well as from modelling. More: Is supermodel Gisele Bundchen ready to catwalk off the runway forever? British model Cara Delevingne, who has also signalled a growing disenchantment with the catwalk in recent times, came in joint second with an income of $9 million, along with Adriana Lima, the list’s highest-placed Victoria’s Secret Angel, on the same amount. This year’s list also sees Kendall Jenner make her first appearance on the list. Deals with the likes of Givenchy, Calvin Klein and Topshop saw the 19 year old part-time reality star net a total of $4 million. Other models who feature prominently in the list are Doutzen Kroes ($7.5 million), Miranda Kerr ($5.5 million), Lara Stone, Candice Swanepoel and Karlie Kloss (all on $5 million) and Kate Moss ($4.5 million).